Every geotechnical project has always felt like it presents a brand new challenge and puzzle, and solving those puzzles is one of my favorite things to do. Construction and engineering were in Jaclyn’s blood growing up. Her father owned a construction company and her early experiences visiting construction sites helped to inspire her to pursue civil and eventually geotechnical engineering. Today, Jaclyn still spends a lot of time on construction sites performing construction observation and field investigations for geotechnical projects throughout the Puget Sound. 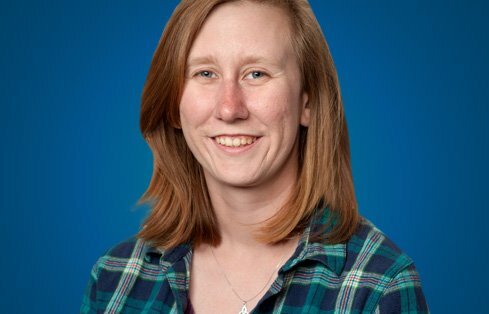 “Every geotechnical project has always felt like it presents a brand new challenge and puzzle, and solving those puzzles is one of my favorite things to do,” Jaclyn says. As a recent graduate from UC Davis, Jaclyn was attracted by GeoEngineers’ company culture and broad project portfolio. She loves seeing the concepts she learned during her classes and research applied in practical ways out in the field. In her free time, Jaclyn enjoys hiking and kayaking and is enjoying taking advantage of the many outdoor recreation opportunities in the Puget Sound region. She also plays and watches sports (especially her New York Giants and Yankees), and keeps her native New Yorker’s stomach satisfied by hunting down good New York style pizza and bagels!